Australia’s tax leader, H&R Block is giving small business a fair go, with $10k grants handed out across the country to small companies. Small business is being given a helping hand by H&R Block, with the tax leader launching a new initiative; “Grants for Growth”, to support entrepreneurial passion projects that need that little extra boost to transform them from “up and coming” to mainstream. 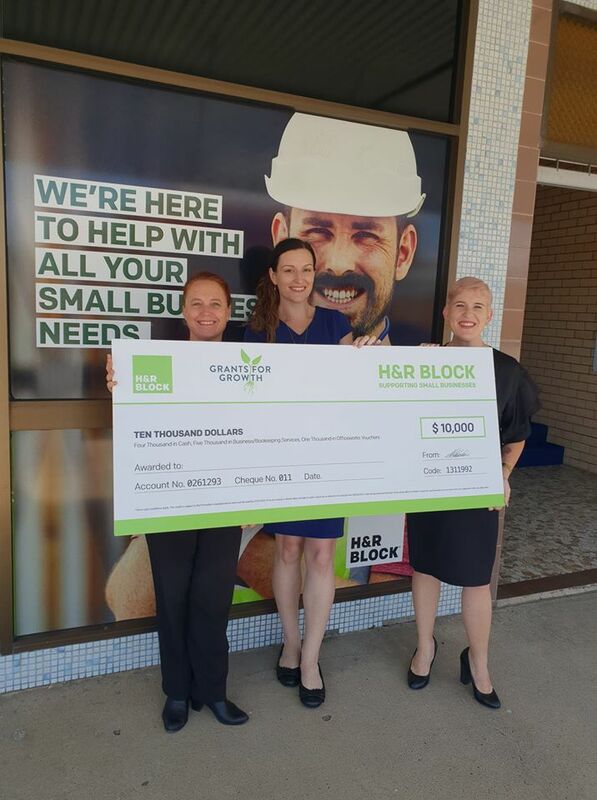 On Tuesday last week, H&R Block Gladstone Manager and Accountant, Karen Windress presented at $10,000 cheque to General Manager of EQIP, Nicole Allison. EQIP was successful in their grant application and were one of 20 businesses around Australia to receive a grant. The $10,000 price includes $4,000 cash, $5,000 in H&R Block services and a $1,000 Officeworks voucher. The vast majority of businesses in Australia are small, accounting for 97% of all businesses in the country. However, they’re shutting down at alarming rates – more than 60% cease their operations within the first three years of starting1. Even more frustratingly, 40% of those businesses that close, do so because of inadequate cash flow. It’s the biggest reason for failure, a lack of capital. H&R Block Managing Director Brodie Dixon said the grants were a great change to give small businesses with great ideas and promise an opportunity to grow and get the upper hand in their fields. “Unfortunately, many amazing concepts don’t reach their full potential, because they can’t get the financial backing they need to get through those initial “start-up” stages”, Brodie said.